Pictured above are some of the MKDP Athletes and the Club Coaches. Willen Lake parkrun on 16th September saw the official launch of Milton Keynes’ newest running club, Milton Keynes Distance Project. MK parkrun was the best place to launch the club which is aimed at endurance/middle distance athletes from age 10yrs upwards. Head Coaches Jim and Kyle Bennett are very encouraged and could not have hoped for a more positive start to the club. The youngsters’ energy and enthusiasm for running was clear to see as they all put in great performances. With a full events schedule of Cross Country to look forward to before returning to Track next spring, the future for this club looks promising. 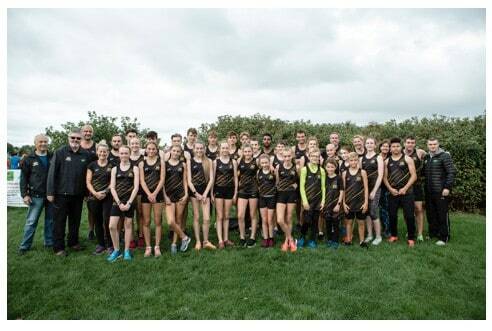 Any youngsters aged 10yrs upwards interested in joining this endurance/middle distance running club can visit our website www.mkdistanceproject.co.uk feel free to contact us to arrange a free trial session.